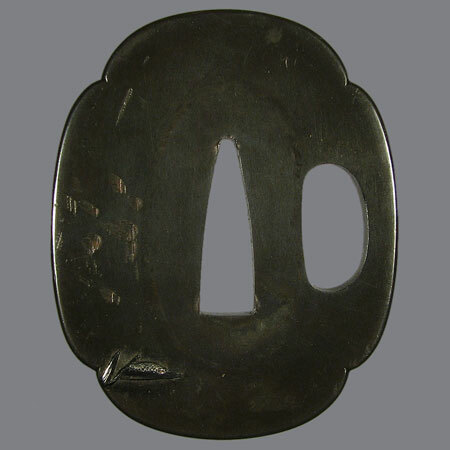 Tsuba made of shibuichi for tanto, mokko shape. 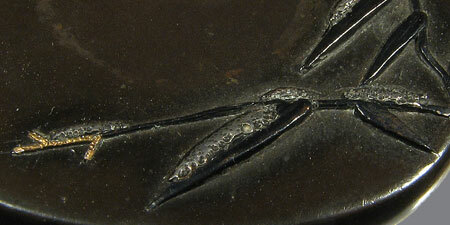 An image of a flying goose and a grass under snow is made of various metals inlay. Wild geese (Gan) in reeds (Ro) are associated with autumn, because they are migrating to Japan islands in autumn to pass the winter, and they feed on underwater parts of reeds on shallow water. 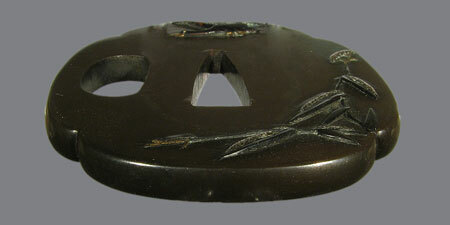 Age - end of Edo era. 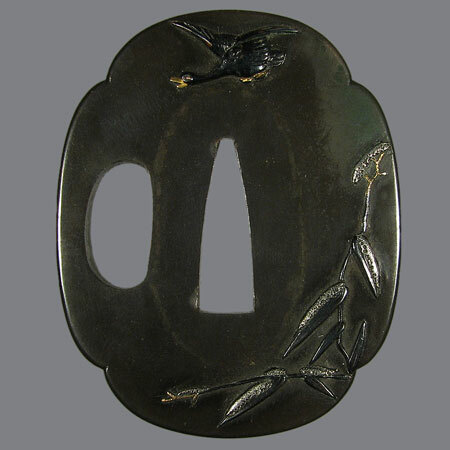 Shibuichi, iroe takaniku zogan with shakudo, gold and silver. Mokko gata, kaku mimi koniku; 5,9 х 4,8 x 0,4 cm.